Sustainability. Going green. Earth friendly. Carbon footprint. Carbon Neutral. You hear these buzzwords about the environment all the time, and you know your organization wants to reduce waste and save money. 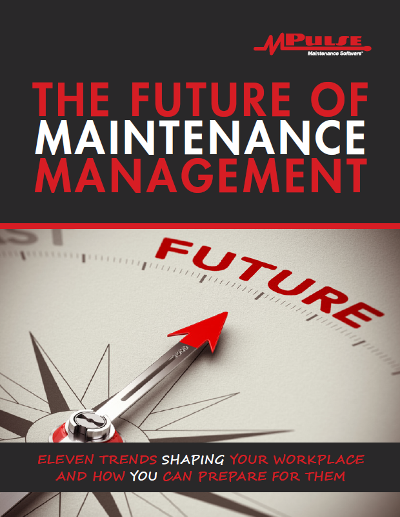 But what does this trend really mean for the maintenance team? The maintenance department is often the focus of environmental policies because maintenance itself is a key part of sustainability, as it improves operations and contributes to longer asset life. After all, the best way to reduce waste is by preventing assets from becoming inefficient and from breaking too soon in the first place. So organizational sustainability policies have a big impact on how the maintenance team does their jobs. Measuring environmental impact is about calculating what is saved instead of what was spent: fuel that wasn’t burned, water that wasn’t used, and waste that never happened. You know computerized maintenance management system (CMMS) solutions can help you track what you’ve already done and what still needs to be done. But CMMS can also help you quantify how those tasks turn into savings—in time, money, and other resources. CMMS can help you meet sustainability goals in six major ways. CMMS can help your team collect and track data on water and energy usage. By recording gauge readings over a period of time, you can compare current to historical usage, calling attention to spikes, trends, or major changes. Such condition-based monitoring (CBM) allows you to automatically generate corrective work orders when assets become less efficient because they need maintenance. You can reduce material waste by improving the tracking of purchase orders and inventory. Knowing exactly what you have on hand prevents over-ordering and stocking unneeded parts or materials. Not only do you prevent waste of inventory, but you also save the energy needed to transport and store unnecessary stock. Additionally, when you start using electronic records and mobile devices to track work orders and inventory management, you reduce the use of office supplies like paper and ink. Perhaps the simplest way CMMS contributes to sustainability goals is by efficiently scheduling and tracking preventive maintenance (PM) tasks on your critical assets. Your CMMS system notifies you in a timely manner when these services are due, so your team is on top of it. Staying current on your PM services helps your assets work better and more efficiently for longer—saving money and energy as well as reducing emissions along the way. It’s one thing to say your operations are sustainable; it’s another to prove it through a certification process. The Leadership in Energy and Environmental Design (LEED) program for facility management, the ISO certification process for manufacturers, and other regional certification programs require organizations to show how their business processes are saving environmental resources. Hard data is the proof to obtain these certifications, and nothing does maintenance data better than CMMS. Environmental policies affect more than just business operations. Proving your organization’s good stewardship is an important part of community and public relations. With CMMS data to back up any environmental success stories, your organization can promote its environmental policies both internally and externally. In turn, recognition and promotion of an organization’s efforts for sustainability can result in improving the organization’s image and attracting new clientele. CMMS systems store critical safety instructions and enforce adherence to important industrial practices, preventing spills and other accidents dangerous to both people and the environment. Organizations are always looking for ways to minimalize risk. Social responsibility is part of that equation. Strong environmental policies can minimize the potential for damage caused by the organization’s actions—things like toxic spills, improper disposal methods, or destruction of natural resources. Your maintenance team can be a key proponent of improving energy efficiency and reducing your organization’s carbon footprint, resulting in lower energy use and maintenance costs. Best of all, your CMMS software can serve as a way to record and report on your team’s efforts—making sure your hard work is documented. As a result, your organization can stay ahead of the environmental curve with a proactive approach to reduce waste, save energy, and improve operations.